From February through June, we will be highlighting the ways that UW–Madison changes lives for the better throughout the state of Wisconsin. March’s theme is Working for Rural Wisconsin. Watch for more at #UWChangesLives on social media. And here’s how you can help. 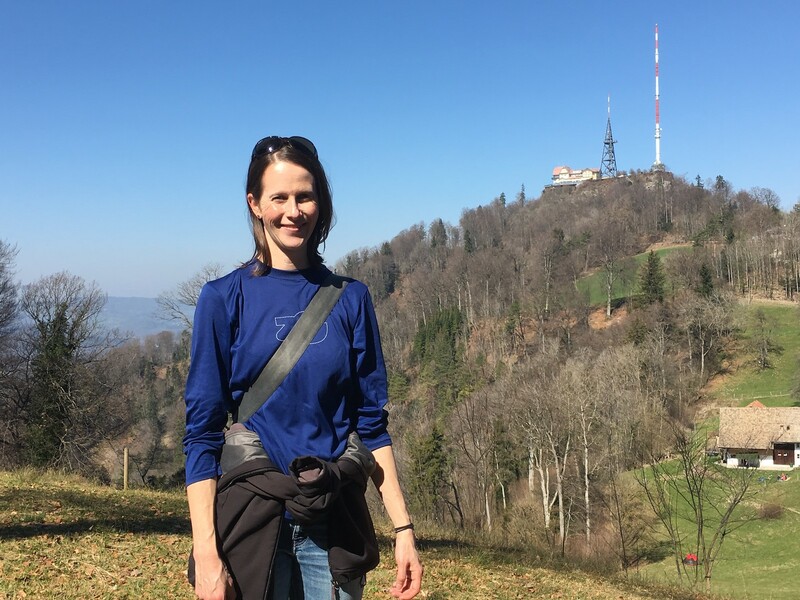 While University of Wisconsin–Madison Engineering Professor Christina Remucal may be thousands of miles from home right now —she’s on sabbatical in Switzerland — she’s busy investigating an issue that has implications for the water that Wisconsinites drink every day. Through funding from the University of Wisconsin Water Resources Institute, Remucal is studying what happens when disinfectants used in the process of treating drinking water react with compounds naturally present in groundwater, sometimes creating byproducts that can be harmful to human health. While chlorine is highly effective, it also reacts with dissolved organic matter found in all waters, and this can result in the formation of harmful chemicals called disinfection byproducts. Some of these byproducts, such as chloroform, can be cancer-causing or otherwise detrimental to human health. It is a complex problem, and scientists have not identified all possible disinfection byproducts. Remucal’s research is aimed at understanding the chemical composition of dissolved organic matter and how that composition can affect the types of disinfection byproducts formed during water treatment. While dissolved organic matter is present in both groundwater and surface waters like lakes and rivers, its composition varies widely. Remucal will place a special focus on groundwater, the source of most drinking water in Wisconsin “We’re looking at dissolved organic matter in groundwater, and how that compares to surface water, and then we’re looking at how that organic matter — again in groundwater versus surface water — reacts with chlorine to form disinfection byproducts,” she says. The project was selected for UW Water Resources Institute funding in 2018 and runs through 2020. It is made up of three main stages. In the first, the research team is collecting water samples from water utilities throughout Wisconsin and running analyses. Reid Milstead, a civil and environmental engineering graduate student in the Environmental Chemistry and Technology Program, is assisting with this process. 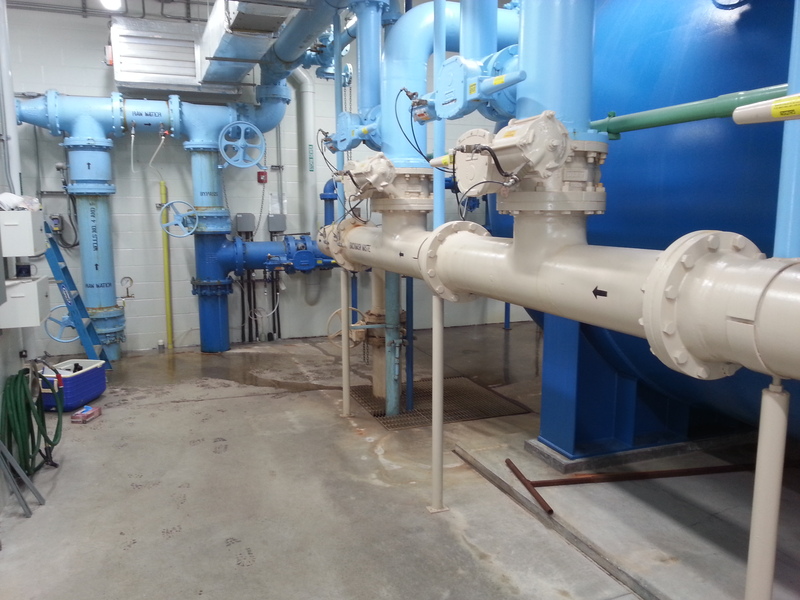 The Wisconsin Rural Water Association is helping connect Remucal and Milstead with local water utilities. “We’re using traditional chemical approaches, but we’re also using some really state-of-the-art high-resolution mass spectrometry approaches to look at dissolved organic matter,” said Remucal. Phase two entails sorting through vast amounts of data and identifying trends that are related to water in Wisconsin, but which are also more broadly applicable. The third and final phase is an ambitious one that takes a predictive approach. “The direction we’re moving in is to be able to predict — if this is my water sample, and this is its basic chemistry — how big of a problem disinfection byproducts are going to be,” says Remucal. She will share research results with the Wisconsin Rural Water Association, the Wisconsin section of the American Water Resources Association and others. While Remucal is enjoying her sabbatical year in Switzerland, where she trained as a postdoctoral researcher, she likes knowing that her Water Resources Institute study will benefit Wisconsinites by furthering what we know about drinking water safety.